The Razortooth was one of the most feared predators back in prehistoric times. 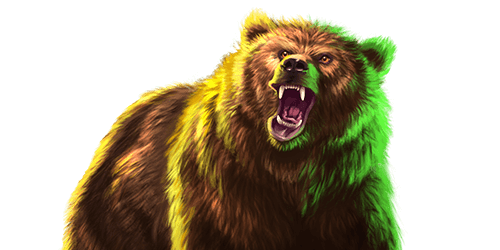 Starring some of the most fearsome animals from the ice age, this online slot is the first game from Quickspin’s portfolio to offer 243 ways to win as well as two massive features that are bound to improve your bankroll considerably. Play Razortooth for free to learn the ropes of this fantastic game. When you are ready to play for real money, grab one of our exclusive welcome packages available exclusively at Quickspin Casinos. Travel back in time to an era where wildlife could spring on you at any given time. This was the time when some of the most legendary animals still walked the earth. This interesting concept by Quickspin is dotted with multiple opportunities to win with each spin. Don’t worry so much about the wild animals though as in this slot, they are here to help you go home with a pocketful of money. Payout percentage: The theoretic payout percentage of Razortooth is 96.60%. Game features: Hunt Random Wild, Hunt Random Wild Reveal, Savage Wild Free Spins Trigger and Savage Wild Reveal. Online slot Razortooth is a 5-reel video slot with three rows and a whopping 243 ways to win. There is no standard payline structure in place here. Winnings are created as long as matching symbols are in adjacent rows from left to right. There are 5 animals in play acting as the higher value symbols. There is the buffalo, the bird, the wooly mammoth, the bear and the Razortooth. Additionally, there are four different coloured gems that have a lower value than the animal symbols. 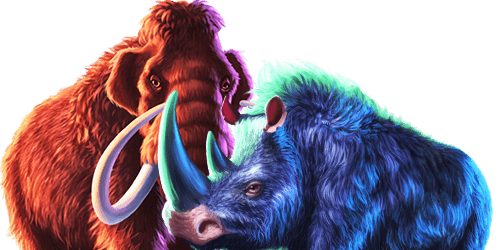 From time to time whilst playing this game, you will spot the Razortooth pouncing across your screen distributing up to three extra wilds to help create winning combinations. If you are not familiar with the term, a wild substitutes for symbols to help create a winning combination. Wilds are thus always welcome in a game. Land three bonus symbols on reels one, three and five and you are promptly rewarded with five free spins. Although this might not sound like much, each free spin has the added benefit of one or two wild symbols covering an entire reel. This leads to big wins compensating for the smaller amount of free spins. This special wild is only present during the Savage Wild Free Spins round. They are presented as a stacked wild symbol, substituting for all symbols except for Bonus scatters. The minimum betting amount on Razortooth is €0.25 while the maximum betting amount is €125 per spin. The maximum win you can achieve on this game is worth 2,445x your total stake. You’d be glad to learn that online slot Razortooth is available to play on the go, anywhere, anything. Whether you prefer to play on your mobile smartphone or a tablet, you have the option to play wherever you are.